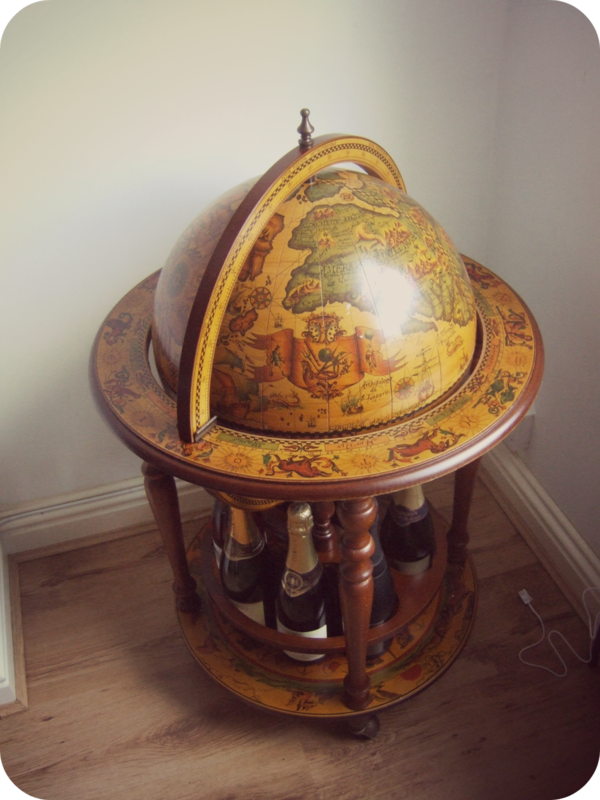 This amazing vintage globe - where else would you store the champagne? 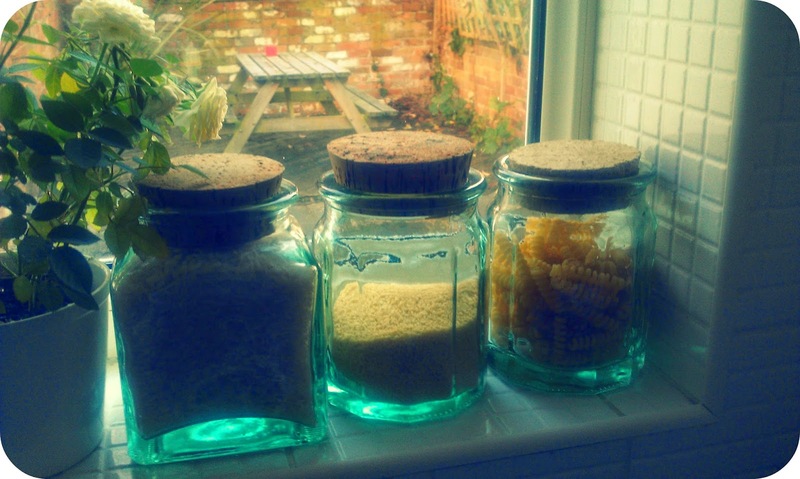 Blue-tinted cork jars for dried goods. They look incredible.